Here’s the first thing you need to know about auto insurance in Arkansas: you have to have some. If you drive a car in Arkansas, whether or not you’re the owner, you’re legally required to have a car insurance plan. The question, then, is not if you need insurance, but which kind. Each state sets its own minimum insurance requirements for drivers. In Arkansas, you must carry liability insurance. Liability insurance is what protects you if you’re at fault in a car accident; it will pay for the damage you caused to another person or vehicle, up to the limits set by policy. Bodily Injury Liability (BIL) is for – you guessed it – injuries caused to the other driver or passengers. In Arkansas the minimum coverage is $25,000 per person or $50,000 total in a wreck where more than one person is injured. Property Damage Liability (PDL) covers damage to the other car(s) involved in the wreck. The minimum PDL an Arkansas driver can carry is $25,000 per accident. This is the minimum liability insurance you can carry in Arkansas, often referred to as “25/50/25 limits;” insurers cannot sell you a policy with lower limits, but you can purchase policies with higher limits if you choose. The word “limit” means it’s the maximum amount your insurance company will pay to cover injuries or property damage in a car wreck where you were the at-fault driver. Beyond liability insurance, there are multiple other types of insurance that you should consider. Liability insurance only covers the damage you cause to other people; if you’re at fault in a wreck, liability won’t pay for your injuries or damage to your car. That’s where Comprehensive, Collision, and Personal Injury Protection plans come in. While they’re not required by law, they’re a smart addition to your policy. Personal Injury Protection, often referred to as PIP, covers your medical and injury-related costs regardless of who was at fault. Coverage includes ambulance and emergency room visits, doctor visits, chiropractic or physical therapy, etc. Exact coverage depends on your state, but you may have an option under PIP to get even more coverage: funeral costs, a percentage of your lost income, or accidental death insurance. PIP is optional in Arkansas but is required in other states. Medical Payments (Med Pay) is similar to PIP, but is less comprehensive. It covers medical expenses for the insured, members of your household, and passengers. In Arkansas, you are required to sign a statement waiving your Med Pay coverage if you choose not to include it on your insurance policy. Med Pay is especially helpful because you can use it while you’re still getting treatment and recovering after an accident; you don’t have to wait for a settlement from the other driver’s insurance company. And without Med Pay or PIP, you’ll be left to pay your own medical bills or rely solely on health insurance if you cause the wreck. Ideally, every driver would follow the law, carry liability insurance, and protect his or her fellow drivers. Unfortunately, this is often not the case. Experts estimate that 1 out of every 7 Arkansas drivers are uninsured. If you’re the victim of an accident where the other driver didn’t have insurance, or their insurance policy won’t enough to cover all of your bills, you’ll be glad you had Uninsured/Underinsured Motorist coverage on your own policy. This policy will also cover your property damage or injuries in “hit and run” situations where the driver hits your car and then leaves the scene. Finally, it’s not enough to simply have insurance – you need to have proof. If you’re pulled over by a police officer, involved in an accident, or trying to register your vehicle, you’ll need to show proof of insurance. Failure to show proof of insurance can result in hefty fines, registration suspension, reinstatement fees, and more. Keep one insurance ID card in your car’s glove box and another in your wallet to ensure you’re never without one. 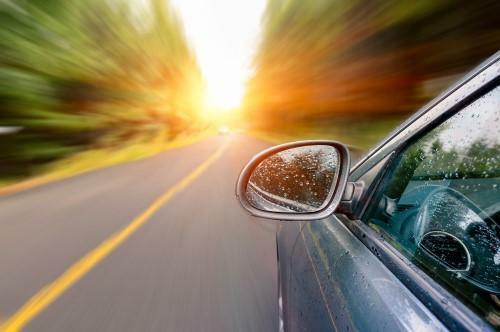 Sorting through all of the definitions and options involved in buying car insurance can be confusing, but we hope this guide to Arkansas insurance helped clear things up. If you’ve been injured in a car accident in Arkansas and have questions about your insurance, Taylor King is here to help. Call today at 1-800-CAR-WRECK for a free consultation and answers to your most important insurance questions. The injury lawyers at Taylor King Law have many years of experience in dealing with insurance adjusters and will protect your rights to a fair settlement.